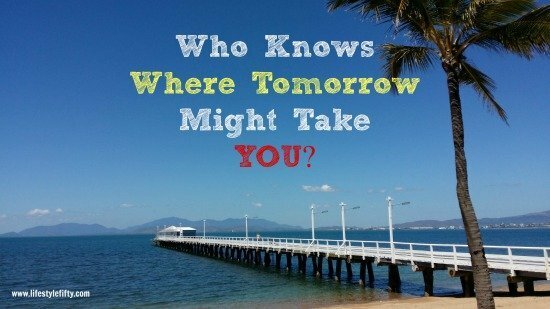 You are here: Home / Holidays, Travel & Adventure / Australia / Magnetic Island : Looking for a dream holiday destination? Now I know that some of you like palm fringed beaches, and that others of you enjoy walking. I know that you like the idea of getting away from it all and I’m aware that you enjoy good food. I also know that a lot of you go … “Ahhh,” when it comes to cuddlesome-fluffysome animals like Koalas and Wombats. So it’s time to sail away together through cyberspace to a dream island which I hope one day you might get the chance to visit too. 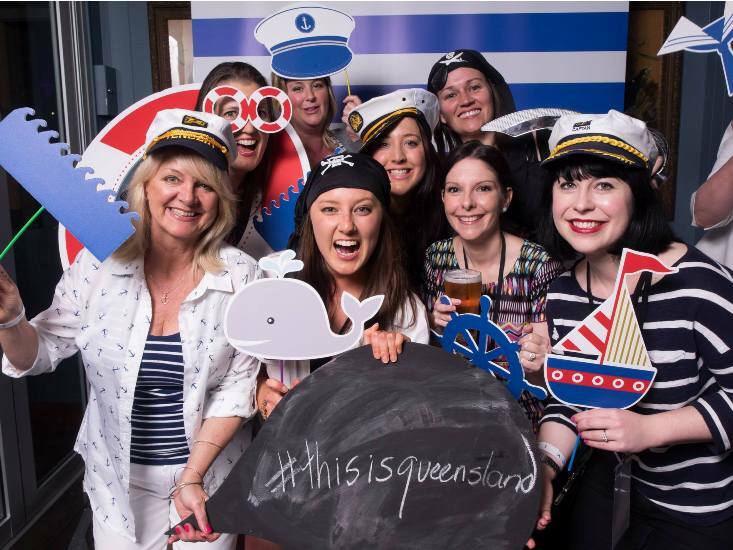 Well, after the excitement of the Problogger Conference on the Gold Coast with over 500 bloggers attending – including the jolly lot below – I thought that the levels of fabulousness in Queensland couldn’t get any higher. Well, almost. Because there was a bit of travelling before that: A road transfer from the Mantra Sun City hotel where we stayed in Surfers Paradise to Brisbane airport, then a quick flight from Brisbane to Townsville, followed by a relaxing lunch on the beachfront looking across a suntanned piece of Queensland’s coastline from Longboards Bar and Grill. 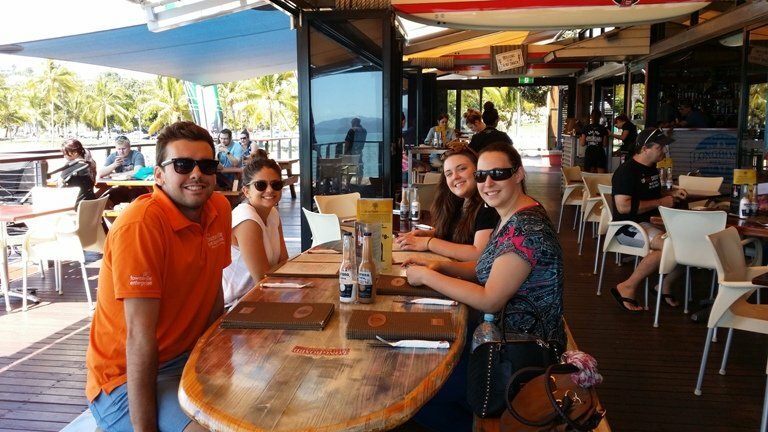 Here the five adventurers were introduced; namely Michael from Townsville Enterprise, Hannah from Tourism and Events Queensland, and fellow bloggers, Nicole from Bitten By the Travel Bug, Sam from Travelling King and me. From there we sailed on SeaLink Queensland to Magnetic Island for two nights. I didn’t know what to expect at Maggie, as it’s fondly known by locals, because I had visited once for half a day about 30 years ago and I thought it might have changed ‘big time’. To tell you the truth, as an outsider, I don’t think much has been spoilt at all since then. No sky rise buildings or busy roads. Just a dreamy island waiting to be discovered with lots of bays and forest and koalas. It took about 20 minutes to get to the island across a stretch of sea which was millpond calm. 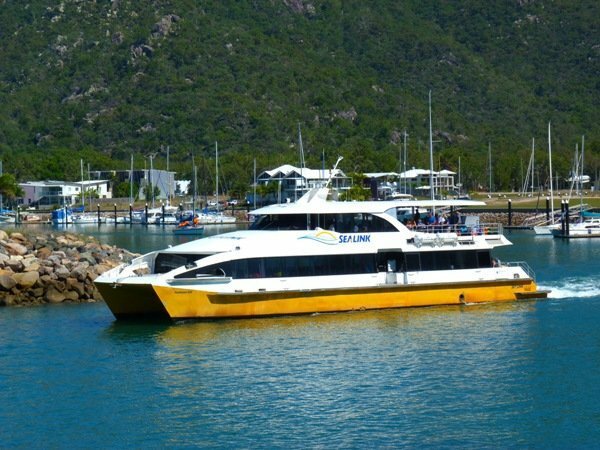 Magnetic Island is a suburb of Townsville and actually many people live on the island and commute by ferry to the city for work. 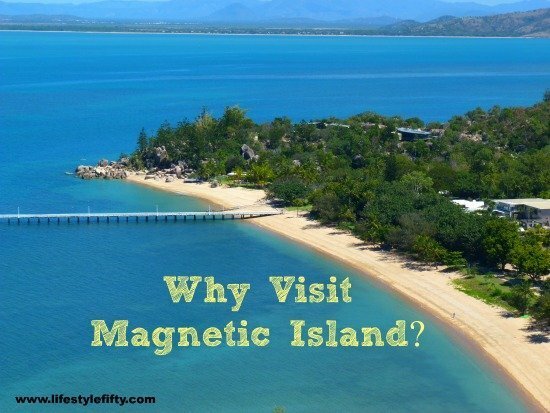 But why would you visit Magnetic Island out of all the other islands to choose from off the Queensland Coast? Here are a few reasons that come to mind. You can choose from an abundance of watersports; diving, snorkelling, swimming, kayaking, sailing, cruising, fishing – you name it! 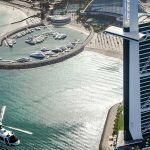 Scenic flights, horse riding on the beach, an Australian wildlife park, and golfing add to the list of things to do. The ferry terminal is set in a picturesque surround of bays, boats and forested hills. Here’s where your dream holiday begins. 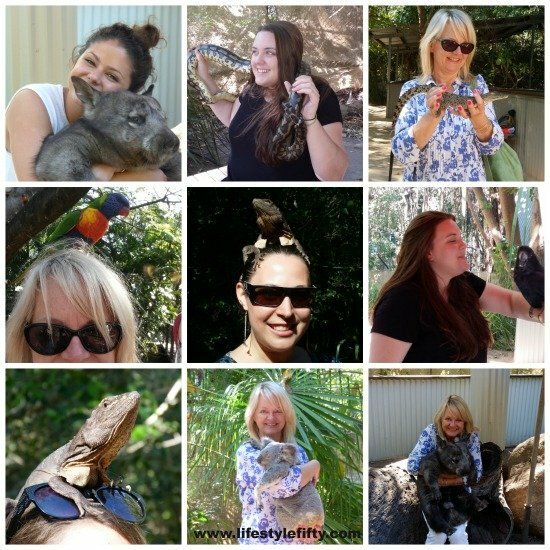 For us, time was short and precious, and shortly after landing and unpacking we were whisked off to Bungalow Bay Koala Village where we learnt about Australian wildlife in close proximity I might add. We were allowed to hold, cuddle, and oggle all kinds of creatures. Of course the koalas pretty much stole the show although Harry the Wombat came a close second. Don’t worry, they belong to an animal trade union and can only be cuddled for a few hours a week. What I didn’t know is that Magnetic Island is home to the largest koala colony in Northern Australia, and the best place to spot them in the wild is on the Forts Walk. 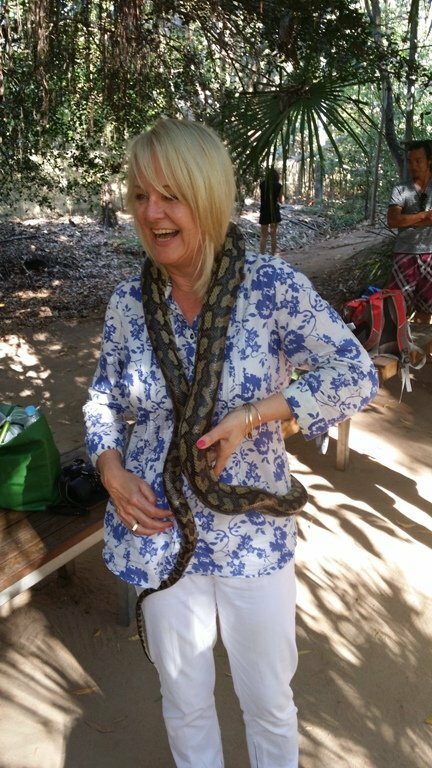 However, at the koala village there were more than just koalas on show and I was (ahem) encouraged to hold a snake. I’m convinced it was trying to get up and under my shirt, and I wanted to scream. But I laughed, a little hysterically, instead. 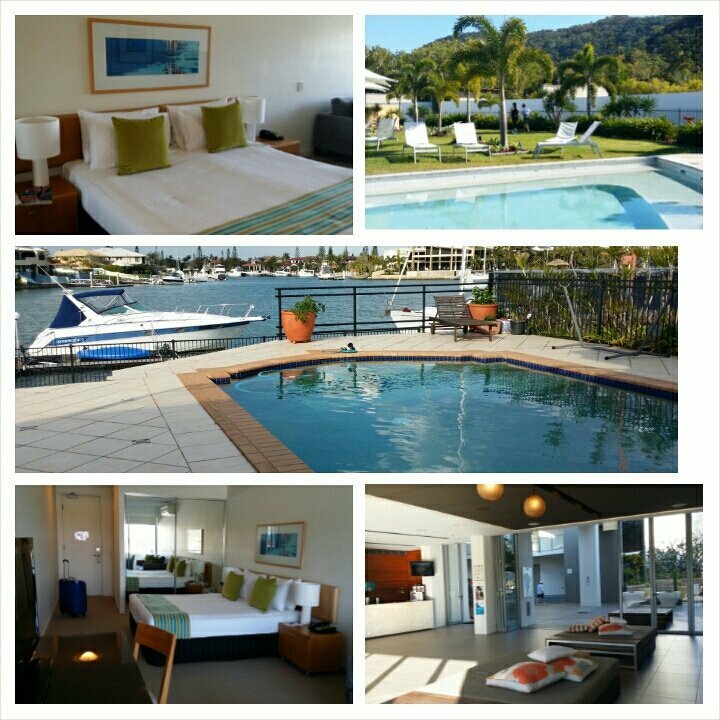 Tropical landscaped gardens, gorgeous marina and mountain views. Close to the ferry terminal. Modern hotel suites and apartments with balconies and bright fresh decor throughout. A bright, light and fresh feel to the reception areas and restaurant. A stunning deck for cocktails! There was much more, but you’ll have to find out for yourself or read Sam’s review which I linked to above. 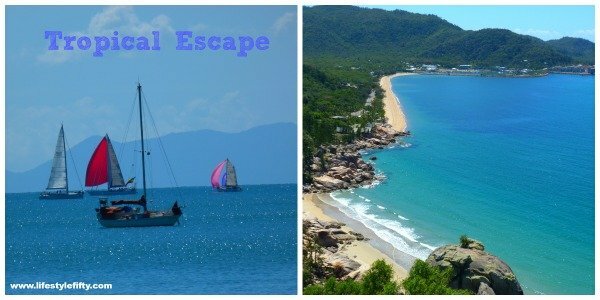 During our stay on the island we visited the most amazing beaches and bays, and enjoyed exploring Magnetic Island’s unique landscape; a combination of granite boulders, tall Hoop pines, eucalypt forest and small areas of rainforest. There are rocky headlands and secluded beaches, some only reached by boat. You really get the feeling of being away from it all. Magnetic Island is made up of two-thirds National Park with around 25 kilometres of walking trails linking the island’s 23 beaches and bays. 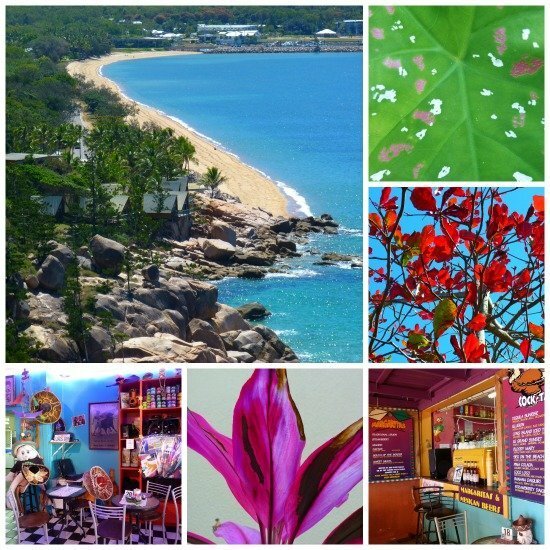 I loved the colours, not only of the landscape and flora but also the colours echoed in quirky cafes along Horseshoe Bay. I could picture a family holiday here … Christmas anyone? Most of all though I loved the island for the seascapes. 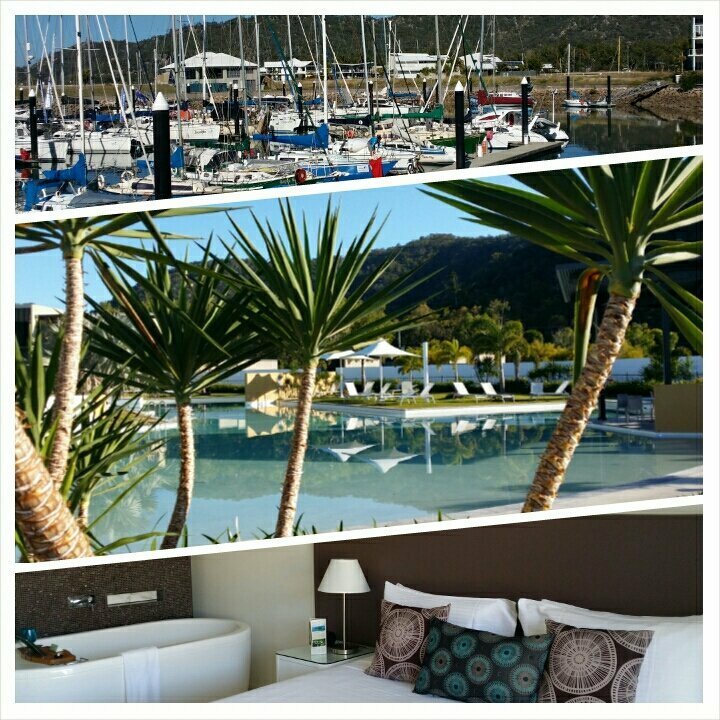 We were lucky to be there during the annual Sealink Magnetic Island Race Week which is held over 6 days. There were more than 70 vessels from across the country taking place in the regatta – which had a relaxed party atmosphere – and we were lucky to be involved. On our final night we enjoyed a fabulous dinner at Barefoot Art, Food and Wine on Horseshoe Bay. 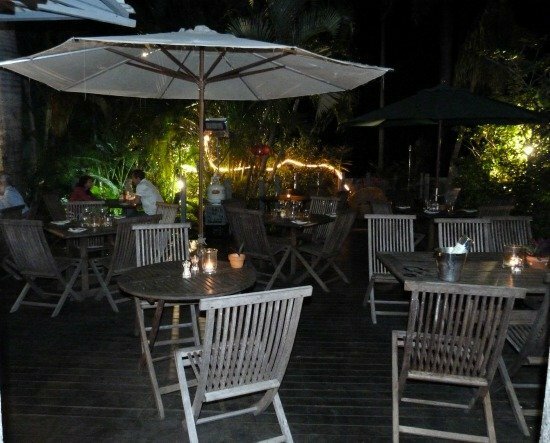 It was situated looking over the bay and has a cute fairy-lit courtyard at the back. 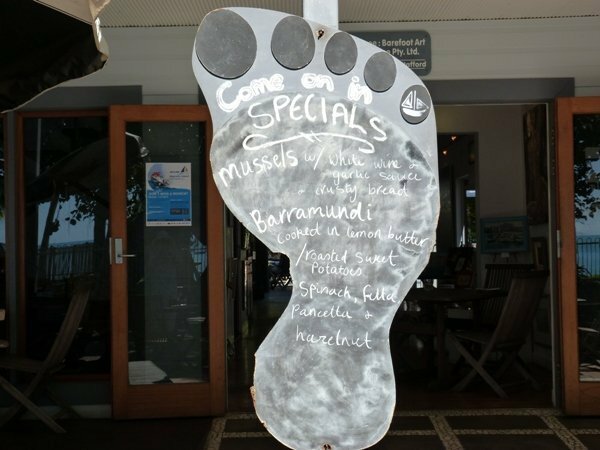 Oh and a big foot at the front – can’t miss it! Just Magic! 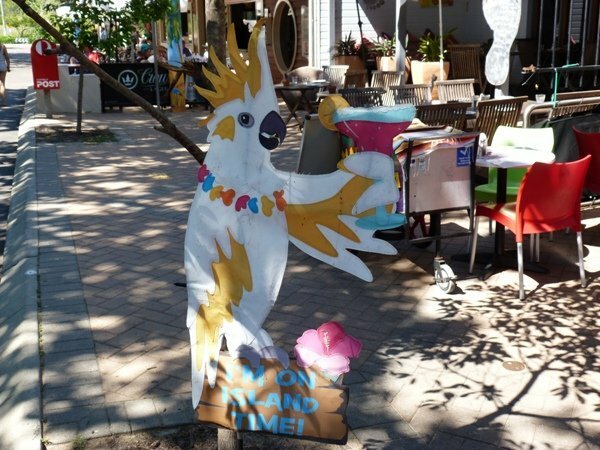 What I really loved about Magnetic Island was summed up by this birdie-billboard! “I’m on island time!” Yeah, Right! There are 19 Return passenger ferry services a day and eight car ferry services a day from Townsville. 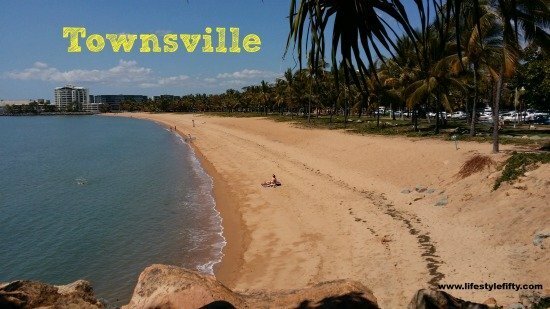 The permanent population numbers 2,500 people – the island is actually a suburb of Townsville. Come for the Full Moon Party each month when up to 3,000 people gather to dance on the beach until sunrise. Magnetic Island was named by Captain James Cook in 1770 when the island appeared to affect the magnetic compass on his ship. Want to visit the Great Barrier Reef as well? 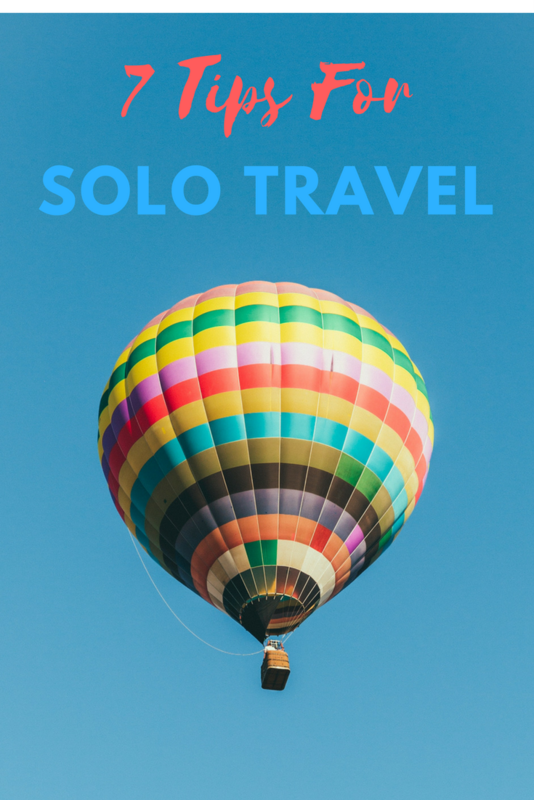 You can book on trips from Townsville. I had a magical few days, and would love to return to discover more. You could visit the Townsville North Queensland website for waaaaayyyy more things to do and places to see than I can write about here. 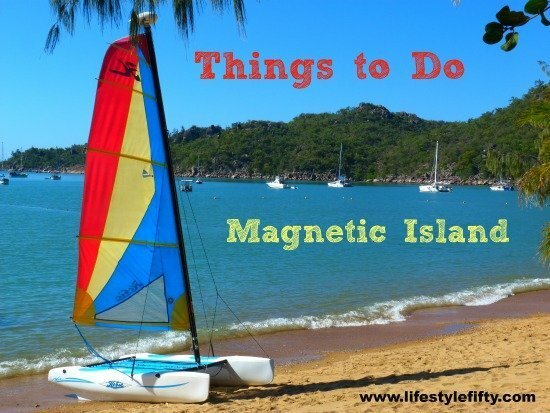 If you’re going to Queensland on holiday, I’d say definitely go for a gander to Magnetic Island. Honestly, I don’t think you’ll be disappointed. Now, tell me … where is YOUR favourite holiday destination? 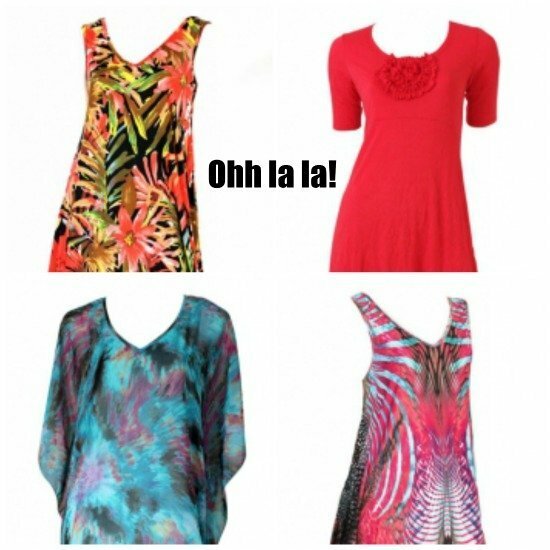 So we’re into autumn now and that kind of thing makes me think – resort! Beach! Islands! 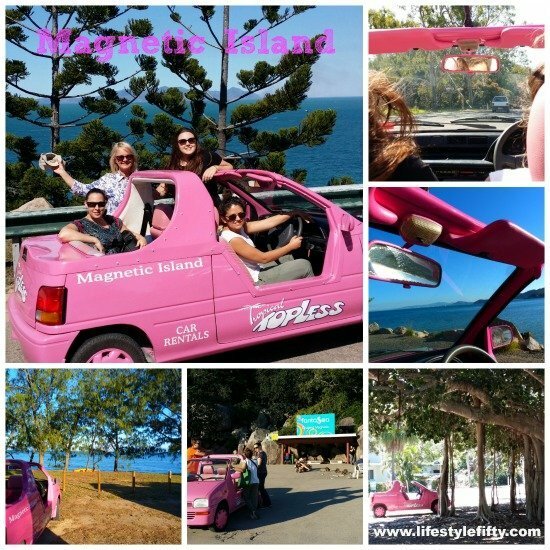 Magnetic Island seems quite popular – am I the only who had never heard of it? Well, I have now – and when I visit the region it will be on my list. Thanks! Glad Magnetic Island is now on your radar Leyla! Pretty magnetic eh? 😉 Nat! 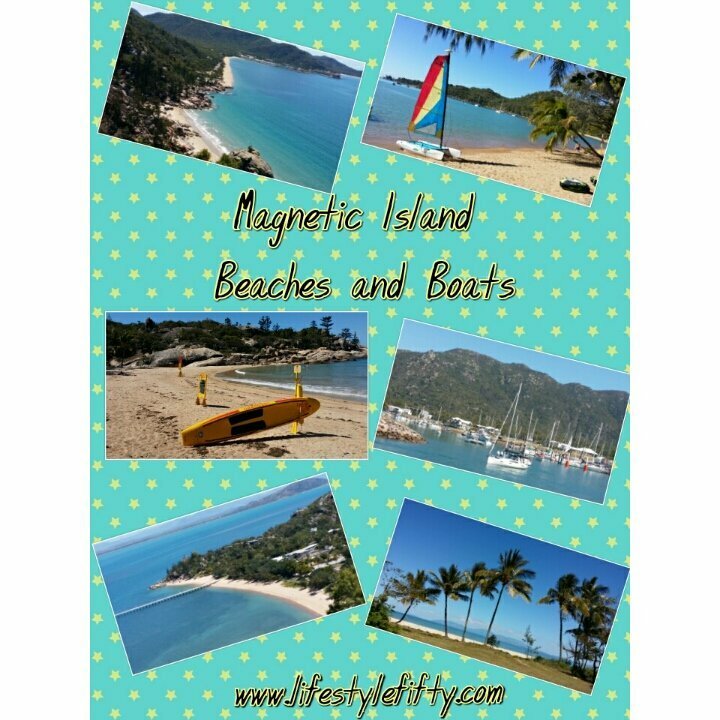 Wow why not visit magnetic island! I really enjoyed this post as this area looks so pretty. I would love to hold all those animals – except the snake! Good for you – what a great photo memory! Nothing is better than visiting a wonderful place and sharing the experience with friends! Spectacular! 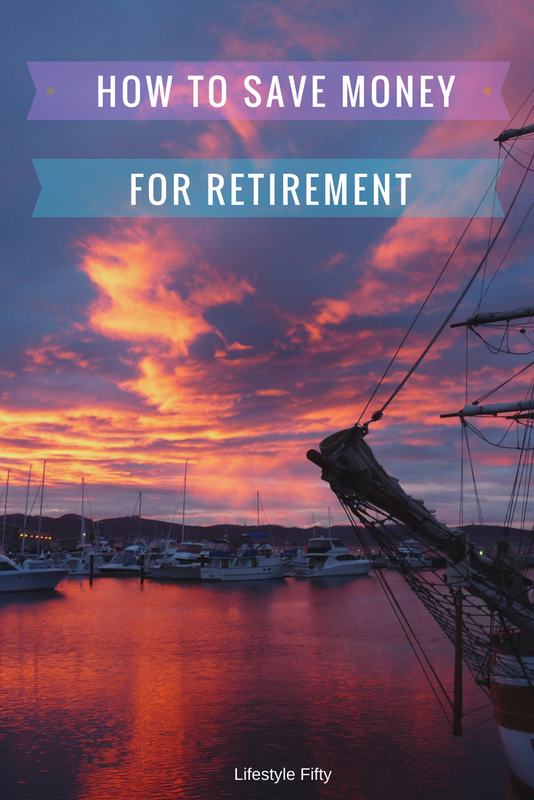 You don’t have to ask why visit Magnetic Island because you’ve definitely shown so many reasons to visit this tropical paradise! Absolutely stunning! 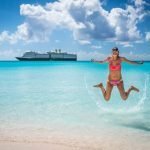 Your post reflects so well the fun you all had – great narrative and photos. And I am green with envy over meeting others in a fun place and having such a good time! Hi Jackie, thank you. So glad you felt the fun and I could share some of it with you. Loved Gold Coast, didn’t get to Magnetic Island but it was still great. 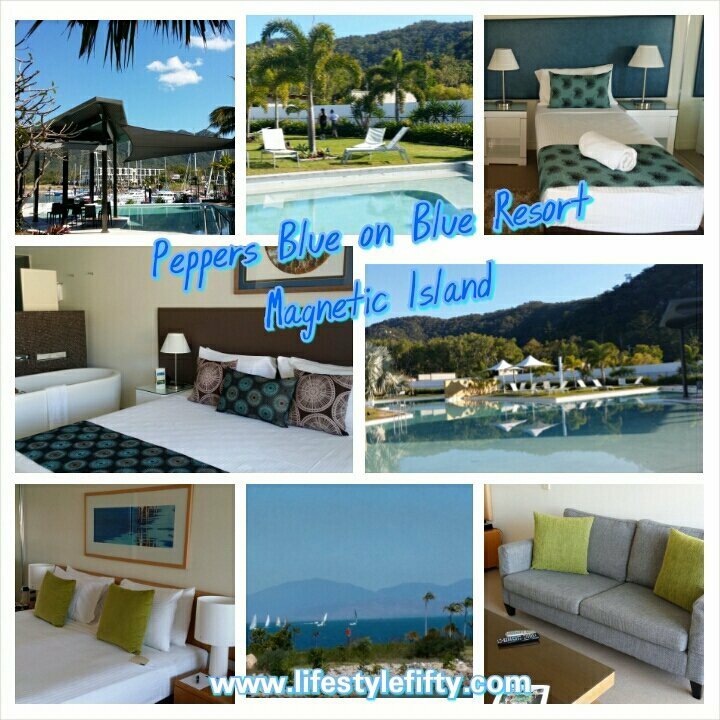 Stayed at Peppers and had the best time. I sometimes wish I lived in Australia so I could easily visit the places you write about. The Magnestic Islands sound & look like a real treat – without the snake. 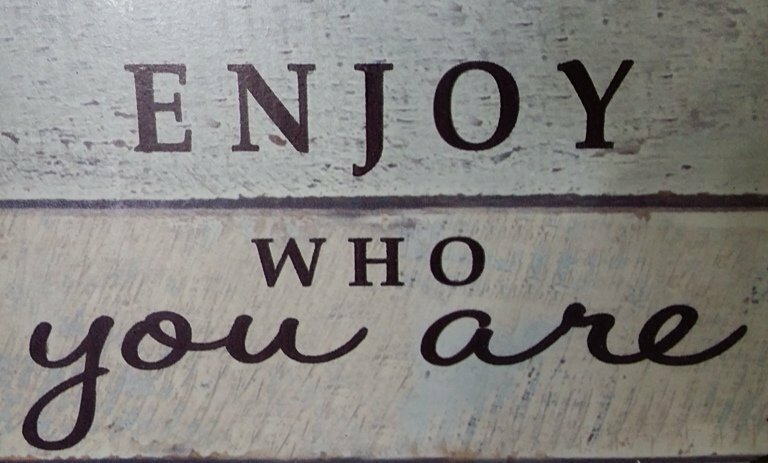 You’ve been on a great roll for a while with so many interesting things happening. Whoa, that’s a mighty big snake, new friend? Sounds like a wonderful destination Johanna, I’ll have to also check your updates for any of the problogger tips, interested in learning about anything blogging worthy. What a great trip. Made me feel ike one of the group. I look forward to visiting Queensland one day. As a scuba diver it’s high on my list and Magnetic Island would fit right in. Thanks. 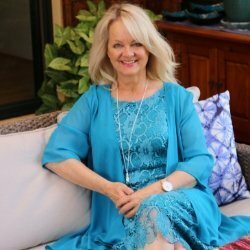 Yes, Elaine, as a scuba diver of course you would be in the proverbial ‘seventh heaven’! And there’s also wonderful fishing there – even straight off the beach – so I’m told! And cute rock wallabies that come out at dusk? Yes yes and yes, Linda! Thank you for adding! We did watch and enjoy looking at the cute rock wallabies but no fishing from the beach! Me too Pam, so much more to discover but reckon you would enjoy Maggie too!